How CVS Became Meth Makers' Favorite Store : Shots - Health News The giant drugstore chain became the go-to spot for hordes of shady buyers, called smurfers, who ran around scooping up over-the-counter decongestants under orders from bad guys who cook up methamphetamine. The smurfers loved CVS. And CVS loved them back. The giant drugstore chain became the go-to spot for hordes of shady buyers, called smurfers, who ran around scooping up over-the-counter decongestants under orders from bad guys who cook up methamphetamine. Inside those nonprescription medicines is pseudoephedrine, an essential ingredient for making meth that was in short supply after Mexico, a big source of meth, banned sales of the ingredient back in 2007. Since 2005, federal law has limited how much pseudoephedrine a person can buy (no more than 3.6 grams a day). And retailers, like CVS, are supposed to police that by checking IDs and requiring people to sign for the stuff. But the chain switched from a paper logbook to an electronic system to keep track of things. The computerized ledger didn't prevent the same person from making a bunch of pseudoephedrine buys on the same day. And store employees, the feds say, were told to obey the computerized system's approval of sales, even if they had their doubts about the buyers. 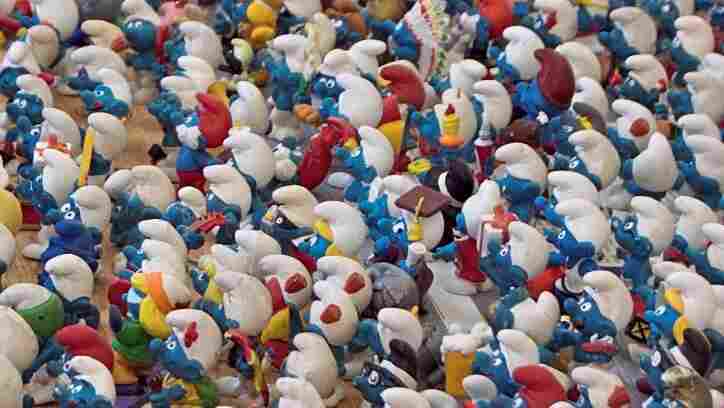 Other retailers did a much better job on complying with the law, so the smurfers took their business to CVS, the feds say. During 2007 and 2008, the problem was rampant in Southern California and Nevada, according to the facts laid out in an agreement between the company and federal prosecutors in Los Angeles. CVS's sales of cold remedies zoomed. "CVS supplied large amounts of pseudoephedrine to methamphetamine to traffickers in Southern California, and the company's illegal sales led directly to an increase in methamphetamine production in California," says a statement from the U.S. Attorney for the Central District of California. The company agreed to pay a $75 million fine and forfeit $2.6 million in profits from sales of the drugs. In a statement, CVS Chairman and CEO Thomas Ryan said, "We have resolved this issue, which unfortunately resulted from a breakdown in CVS/pharmacy's normally high management and oversight standards." The lapse, he said, "was an unacceptable breach of the company's policies and was totally inconsistent with our values."